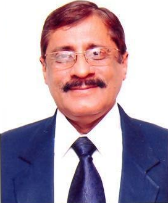 Prof. Ashok Bhagat has over thirty nine years of banking operational experience mostly in the area of Trade Finance business. He is actively associated as Trainer since last 25 years with various banks (locally /overseas), Corporate, Industry associations and Academic institutions, etc.in the area of Trade Finance. 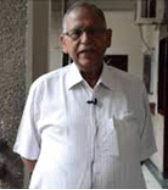 He has worked with Syndicate Bank for 19 years in the area of International Business and around 19 years with Societe Generale, one of the world‘s largest bank and a major player in international trade finance, where he was responsible for controlling Trade Finance operations, including Trade business development. 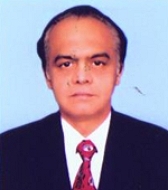 Last corporate position held by Prof. Bhagat was Head of Sales Trade & Vice President – Societe Generale, New.Delhi. Dr.Jagmohan Taluja is Ph.D, MBA (FMS, Delhi University) and Chartered Mechanical Engineers from Institution of Engineers. He has nearly 45 years of experience in corporate, consultancy and academics. He has worked for over 19 years with M/s Escorts International Division and M/s Chinar Exports Ltd., exporting engineering, electronics and textile products as also providing consultancy in International business for 25 years. He has developed several new markets, new products in competitive environment besides setting up several turnkey projects in overseas countries including joint venture trading company in Europe. Dr.Taluja has widely travelled several countries across Europe, Asia and Africa. Dr.Sumesh Raizada is an Electrical Engineer, MBA and Ph.D. He has over twenty nine years of experience in corporate and academia. He has been Dean - PGDM and PGDM (Retail Management) programmes at JIMS, Rohini. Earlier, Dr. Raizada worked for almost seventeen years in the marketing department of Ms.Crompton Greaves Limited (Switchgear Division) and for about two years as a management trainee in an electronics OEM. Dr. Sumesh has presented and published over 30 research papers in conferences and journals, edited 02 books and has contributed nearly 100 newspaper articles in the Tribune, Chandigarh and the Hindustan Times, Lucknow. His areas of teaching and interest are International Marketing, Industrial Marketing, Business Ethics, Digital Marketing and Supply Chain Management. Dr. Joydeep Goswami, is an able academician and researcher with demonstrated abilities in Research; particularly Social Research, besides hand on experience working with Large Data. He started his career with North Eastern Hill University (NEHU) in Shillong, as Research Associate and later shifted to teaching economics at both undergraduate (Honours Subjects) and Post graduate level and later went on to become HoD Economics. He has a proven record of teaching papers on Tourism Management, Entrepreneurship and Environmental Economics. In 2007, Dr. Goswami joined National Council of Applied Economics Research (NCAER) as Consultant and later as Associate Fellow. At NCAER, he worked extensively on the project like India Human Development Report, Sponsored by University of Maryland, USA, Third Handloom Census, sponsored by Ministry of Textiles, Govt. of India, Reading Habits among the Indian Youth, Sponsored by Book Trust of India, Status of Para Teacher in India, sponsored by Ministry of Human Resource Development and others. Dr. Goswami also worked for a brief period with Indian Planning Commission being a part of NCAER team. 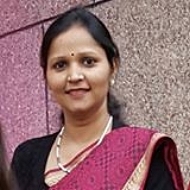 Dr. Pratima Daipuria is presently working as Professor and Dean, PGDM program at Jagan Institute of Management Studies, Rohini. Her core areas are Human Resource Management and Organizational Behavior. She is a Certified Hogan Assessor and makes use of personality based assessments for consultancy support to industry in selections, team building, training and coaching. She has done MBA in Personnel Management and Ph.D. from Faculty of Management Studies, University of Delhi. She has 5 years of industry experience in Corporate HR and has been associated with academics for last 10 years. She has worked for large corporates such as Blue Dart Express Ltd. and Chemline India Ltd. Her professional interest lies in research and training in individual behaviour, interpersonal relations, mentoring, emotional intelligence, work-life balance, personal effectiveness, performance dimensions and related domains. Dr.Pratima has conducted Management development programs for top and middle level managers in various organizations. She has done competency mapping and employee engagement exercises in corporates. In addition to scholarly publications, she enjoys developing case studies and writing creatively based on day to day experiences and observations. 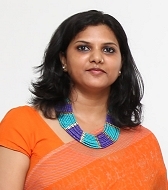 Dr. Deepika Saxena is currently working as Associate Professor in Jagan Institute of Management Studies (JIMS), and has work experience of more than 12 years including academia and industry. She is a graduate in commerce from Delhi University and in computer applications form IGNOU. She has done Masters in Business Administration from Jaipuria Institute of Management, Ghaziabad and Ph.D.from Gautam Buddha University, Greater Noida.Her areas of research includes financial inclusion, micro-finance, micro-credit, technology in banking etc. She has published and presented several research papers in Journals and Conferences of National and International repute including IIM and IIT. Her research paper titled: ‘Technology based Initiatives by Indian Commercial Banks towards Financial Inclusion’ received the “Best Paper Award” in annual conference of IIM-Bangalore. She has also conducted several MDPs and involved in consulting and case study development. Dr Bhupender Kumar Som, Programme Head, PGDM (International Business), is a PhD from department of Statistics and Operational Research, Kurukshetra University, Kurukshetra. His area of expertise include, Stochastic Queuing Models and Statistical Data Analysis. 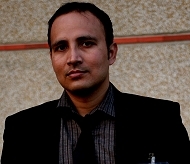 He is on the board of reviewers for Journal of Business Theory and Practice, LA, USA and ICTACT Journal of Management. He is editor-in-chief of v3 Journal of Management. He was also a reviewer for PAN IIM conference. He has more than 60 publications and conference paper presentations. The list of paper includes journals and conferences of international repute. He is also involved in industrial projects and suggested effective scientific solutions to industrial problems. 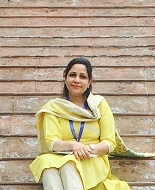 Dr. Deepti Kakar is a Professor in the Department of Management and has been associated with JIMS for more than 12 years. She holds Ph.D. in development economics and post graduate degrees in economics and management. Her specialization lies in micro-economic decision making, macro-economic management and business environment. Her research interest rests in developmental issues and specifically rural poverty studies. She has presented research papers at national and international conferences and published a number of research articles and case studies. In addition to teaching assignments, in the past she has edited college magazine and newsletter, convened an international conference and co-convened national seminars. 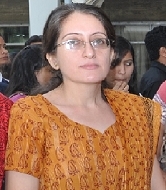 Ms.Pooja Jain has been associated with JIMS, Rohini for about 13 years now as an Associate Professor. She has worked with Reliance Infocom for about a year in the sales division and has handled institutional selling. Her areas of interest include Rural Marketing, Sales Management and Consumer Behaviour. She has conducted MDPs and Trainings on customer relationship management and selling skills for junior and middle level executives. She is presently pursuing her Ph.D. and has several national & international publications to her credit.